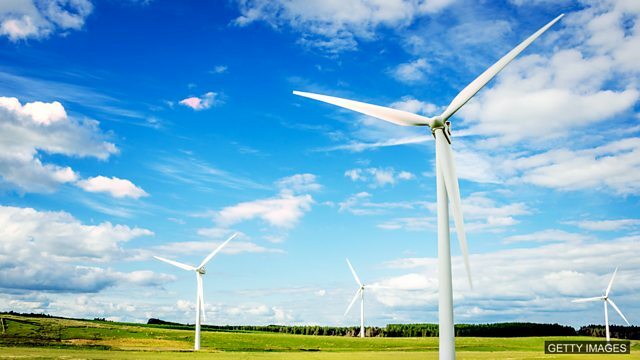 More than half of the UK's country's energy came from low-carbon sources this summer. Neil and Catherine teach you how to use language in the news in your everyday English. Over half of the UK's energy use came from renewable sources, such as wind and solar, this summer. ‘Green’ can mean 'environmentally friendly'. But there is another meaning. If you say someone is ‘green’, what does it mean? The British National Grid – that's the system of wires that takes electricity from its sources into people's homes – was the most environmentally friendly ever this summer. Over half of the energy consumed came from low-carbon sources – that's things like solar and wind power rather than coal or oil. Khalid is never ill. He enjoys ______. Artificial intelligence ______ for the jobs market. Fossil fuel suppliers are worried low-carbon energy will _____ them. b) they are not very experienced.